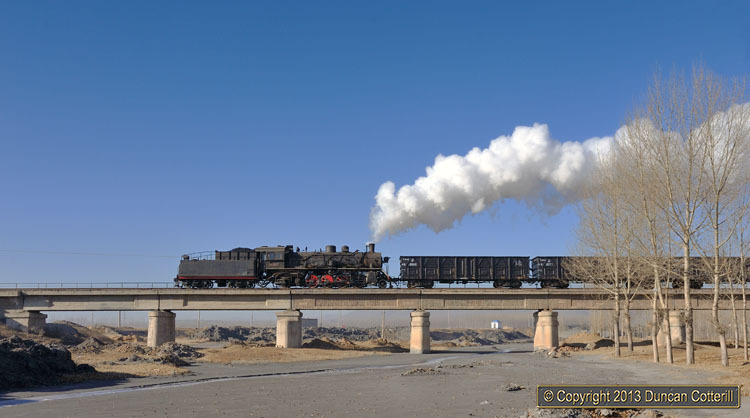 SY.1425 neared Pingzhuang Nan with a loaded train on the morning of 29 November 2013. Although it is uphill from Wufeng to Pingzhuang Nan, most southbound trains gain enough momentum to roll all the way without the loco having to work. in this case a helpful signal check worked in our favour.